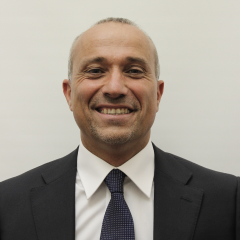 Graduated in Civil Engineering with an MBA from LUISS University in Rome, Alessandro is Adjunct Professor in real estate finance at LUISS Business School, and RICS member. After a period in a technical role, in 2001 he joined Grandi Stazioni SpA dealing with investment evaluation and finance. In 2005 he was in Cushman & Wakefield as senior consultant, then in Torre SGR (Fortress Group) as Acquisition Manager. In 2007 he joined Pirelli RE SpA, as Head of Acquisitions Tourism and then director of HMS BV (Amsterdam). In 2009 he joined Fabrica SGR, as Head of Management Team and later as Head of Investments; in Fabrica he finalized investments for €1,55Bn, managing the startup of funds for institutional investors (pension funds). In 2015, he joined Mittel group, Italian listed company operating in private equity and real estate, as Group Head of Real Estate; he was Ceo of Mittel Investimenti Immobiliari, and member of Castello SGR board of directors. In September 2016, he joined CDP Cassa Depositi e Prestiti Investimenti SGR, as Head of Tourism Real Estate, managing the startup of tourism investment business unit.